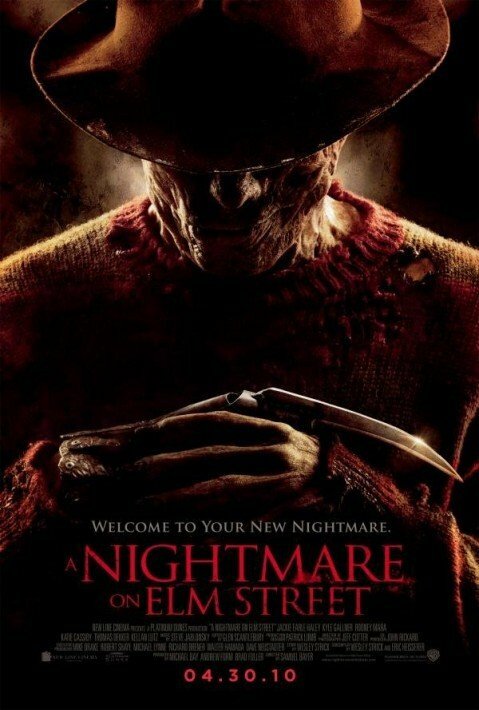 A Nightmare on Elm Street is a slasher film set in the fictional town of Springwood, Ohio. The plot revolves around Alice and her teenage friends who are stalked and killed in their dreams by the omnipresent, blade-gloved Freddy Krueger. The reason behind Freddie’s rampage lies in the parents’ sinister secret from years ago. The greatness of Craven’s film is that the identification with the characters doesn’t end with the movie’s final scene. Instead, it continues following the movie. As anyone whose had a nightmare after watching this film will attest, it’s the moment after you wake up from the terrifying dream that is potentially horrifying, as it is then that you’re put in the exact same position as the main characters. As the title implies, A Nightmare on Elm Street (Nightmare) depicts Nightmare Disorder (ND); repeated awakenings with recollection of terrifying dreams, usually involving threats to survival such as being hunted by a child murderer. Upon awakening from her nightmares, Alice is alert and able to recall the dream in detail. These details differentiate ND from Sleep Terror Disorder. With sleep terrors, there is no detailed recall of the dream. While the above sleep disorders (parasomnias) are in the differential diagnosis for what ails the teenagers in the film, so too is a dyssomnia. Dyssomnias are disturbances in the quality, amount, or timing of sleep. While a discussion of sleep stages is beyond the scope of this blog, the movie is about a recurrent nightmare (REM sleep) that invades the teenagers’ wakeful states. In this way, Nightmare is a metaphor for a dyssomnia defined by REM invasion into the beta state (wakefulness), specifically, Narcolepsy. Narcolepsy usually has its onset in adolescence (e.g. Alice), is characterized by hallucinations (seeing the boogeyman), and is genetically predisposed. Metaphorically, Alice and her friends carry the (genetic) burden of their parents. (wakefulness) that is cued by the situation. Specifically, she was likely imprisoned in Freddie’s boiler room (basement). Unlike the other characters, Nancy is “kept alive” by Freddie, and slowly learns the truth/etiology about her nightmares. Freddie considered her special in some respect. Nancy’s mother, Marge, kept Freddie’s hat and glove; bizarre behavior if Freddie was “just a child murderer.” Years prior, Marge likely had an affair with Fred Krueger (which would be consistent with her having separated from her husband in present day), but had a blind eye to her boyfriend’s conduct towards her daughter. Alice and her friends are victims of the sins of their parents. Nightmare then is not merely about Sleep and Awake Disorders such as Nightmare Disorder or Narcolepsy. Alice’s sleep pathology is likely due to Posttraumatic Stress Disorder, having been a victim of childhood sexual abuse.